RBC Foundation announces additional financial support to finalists. 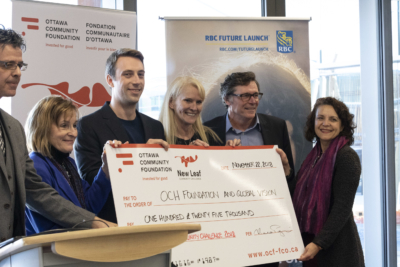 Nov. 23, 2018 (Ottawa, ON) – The Ottawa Community Foundation (OCF) presented a cheque for $125,000 to the Ottawa Community Housing Foundation and Global Vision yesterday as part of its New Leaf Community Challenge. 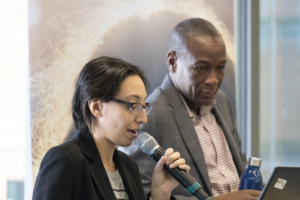 The winning organizations, which were introduced to each other by the OCF, are partnering for the first time to tackle youth unemployment in the Ottawa region through their Youth+ initiative. 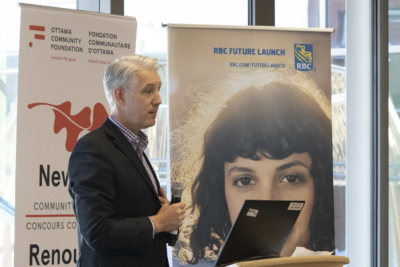 In an exciting reveal immediately preceding the cheque presentation, representatives from the RBC Foundation announced their commitment to ensure that funding will be available for the implementation of all three of the finalist proposals. RBC Foundation’s Future Launch initiative is a 10-year, $500 million commitment to end youth unemployment in Canada. The benefits of the NLCC now extend well beyond a once-a-year major grant. Since introducing NLCC in 2014, the OCF has improved the process every year, creating better conditions for organizations to collaborate and to add systems-level thinking to the proposals. 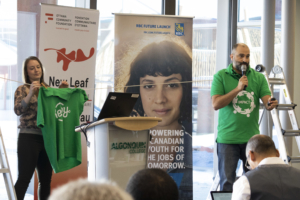 Relay Education’s Green Collar Careers (GCC) is designed to help connect youth to a range of “green career” opportunities. Rideau-Rockcliffe Community Resource Centre’s GeneratioNeXt Ward 13 is a bilingual employment and entrepreneurship incubation program offering services to youth aged 13 to 29 living in Ottawa’s east end. 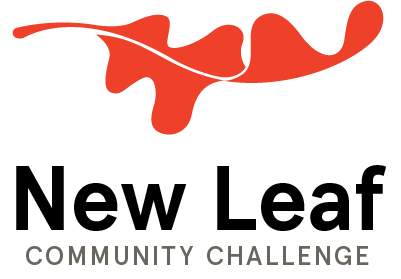 Originally launched in 2014, the NLCC is designed to inspire and support innovative, collaborative approaches to addressing critical issues in Ottawa. Since then, the OCF has granted more than a million dollars to support two critical issues in our community: food security and youth employment.